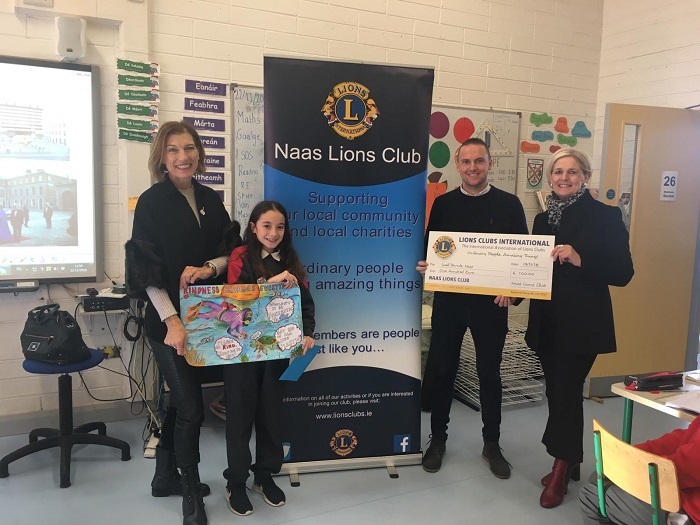 Ellyssa Bouzid, who is a pupil in Muinteoir Gerard’s 6th Class, recently won the Naas Lions Club Kindness Matters poster competition. The school was presented with a cheque for €100, which you can see in the picture above. 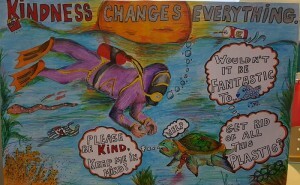 You can also see Ellyssa’s fantastic winning poster in the picture below. Well done Ellyssa and many thanks to the Naas Lions Club! Active week is finally here! 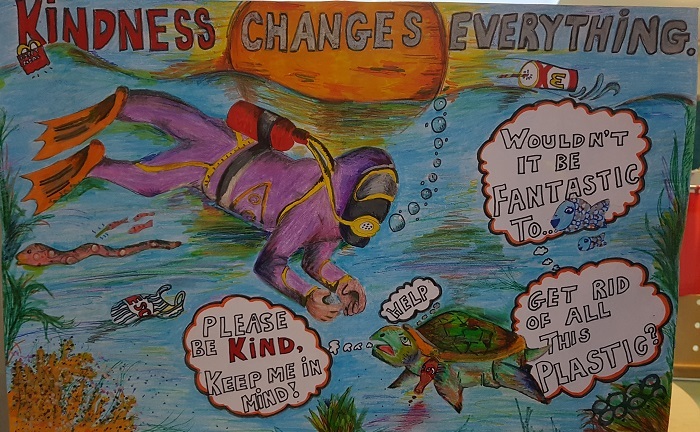 Check out the stunning video produced by the active school committee!